First Lady Tammy Murphy (second from right) with NJ Human Services Commissioner Carole Johnson (first from left), joined by YWCA Princeton Board President Megan Adams (first from right) and CEO Judy Hutton (second from left). 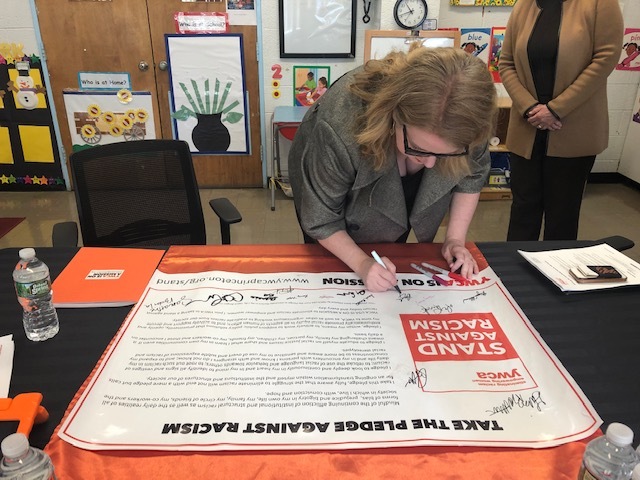 On Wednesday, February 6th, YWCA Princeton hosted a visit from First Lady Mrs. Tammy Murphy and the NJ Department of Human Services Commissioner Carole Johnson. 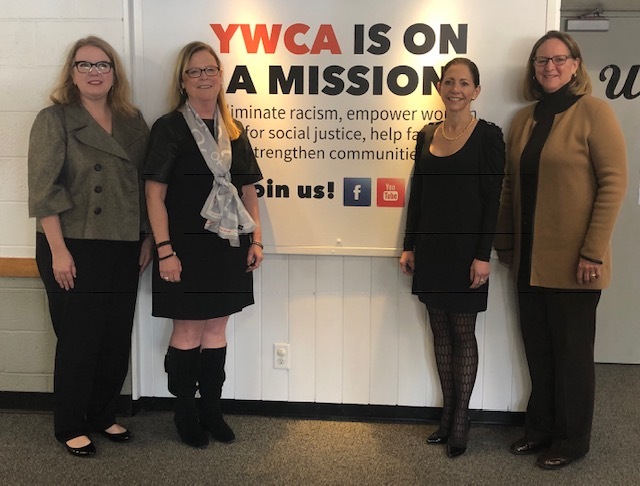 YWCA Princeton Board President, Megan Adams, and CEO, Judy Hutton, shared the organization’s success and strategies in pursuit of its mission to end systemic racism and empower women. Programs like affordable childcare, English as a Second Language, High School Equivalency preparation and testing, support for breast cancer survivors, and STEM education all fill a vital need in pursuit of this mission. 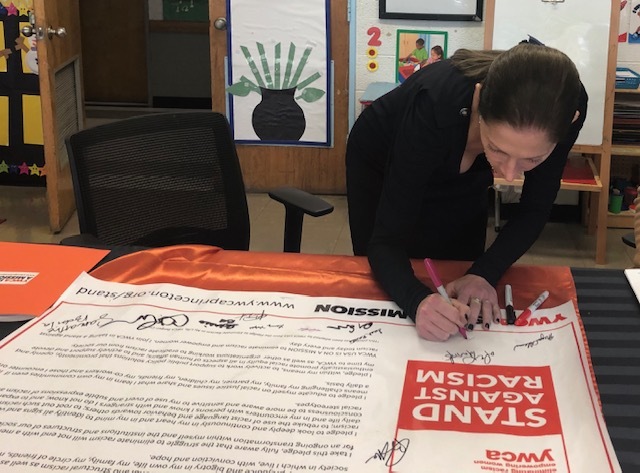 The First Lady and Commissioner also signed a pledge against racism, committing to do the hard work of ending racism through ongoing transformation of themselves and the institutions and structures of society.